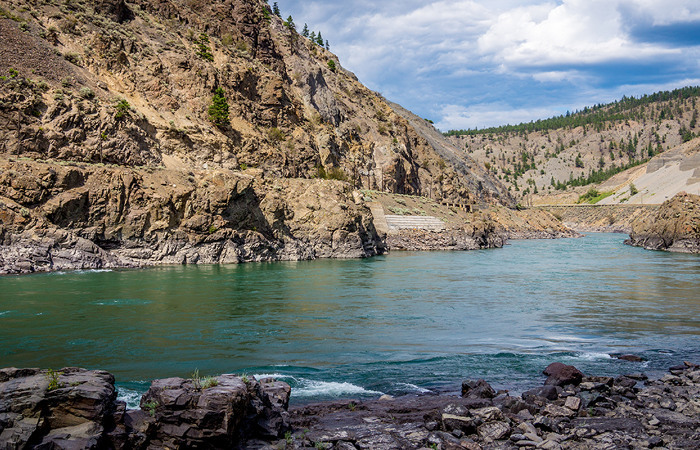 One of British Columbia’s natural wonders, the Fraser Canyon is a major section of the Fraser River. The frigid water descends rapidly through the narrow rock gorges in the Coast Mountains as it makes its way into the Fraser Valley from the Interior Plateau of BC. The fast water flowing through these towering mountains truly show cases the province’s natural beauty. 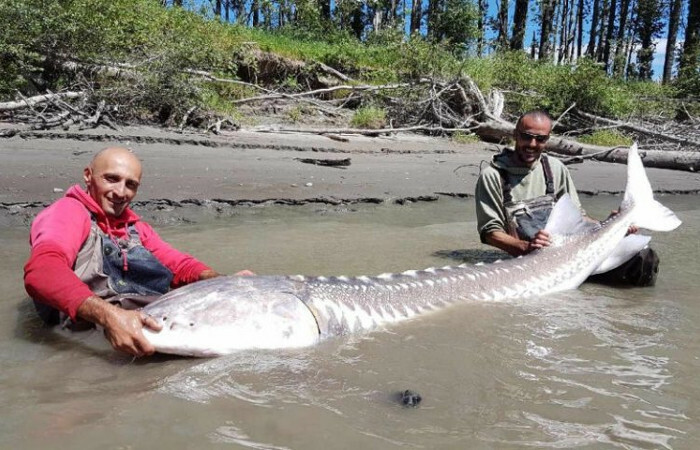 The white sturgeon who dare realm this area is unique as they have larger bodies and pointier nose to navigate their way through the fast, deep and powerful waters. 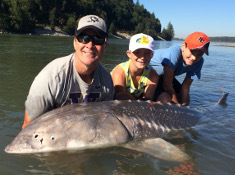 Catching one of these special sturgeons is a reward that all levels of anglers are in search for. 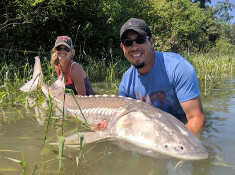 Although fishing spots are limited, the ones found by our special guides will provide the best opportunities to catch a monster sturgeon while most importantly ensuring a safe environment. 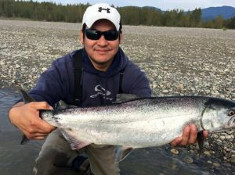 Only fishable from June through August, this trip is our most incredible and rewarding fishing adventure. 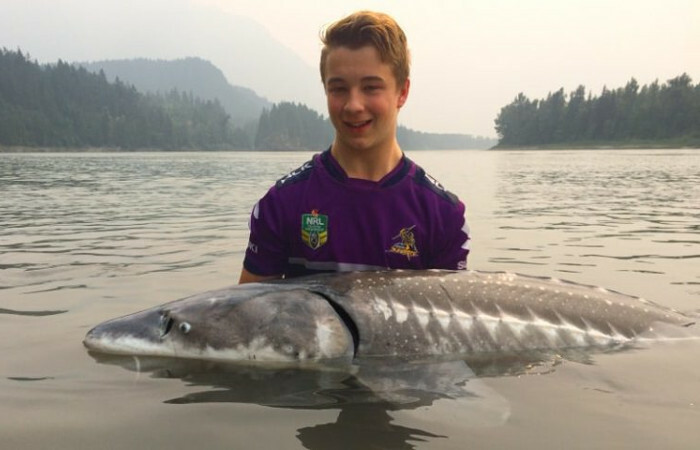 Let us help you navigate these waters while you catch a sturgeon in one of the most spectacular scenery that British Columbia has to offer. 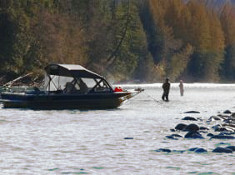 Fraser Canyon Sturgeon Fishing rate is 8 hours with 1 – 2 people for $1100 – each extra person is $50 (max 4 per boat).